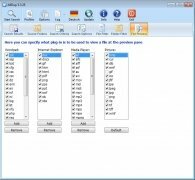 AllDup makes a rather tedious task quick and simple: it searches for duplicate files that are occupying valuable space on the computer's hard drives. 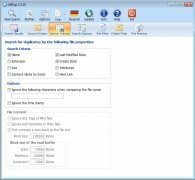 This free tool works by means of quick duplicate file search algorithm that can work with all kinds of files, no matter if they are text, video, image or music files. 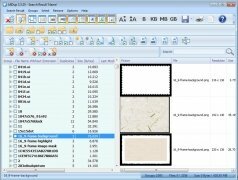 What's more, it has great precision due to the fact that it can combine various search criteria, like the size of the file, the modification date or the files contents. 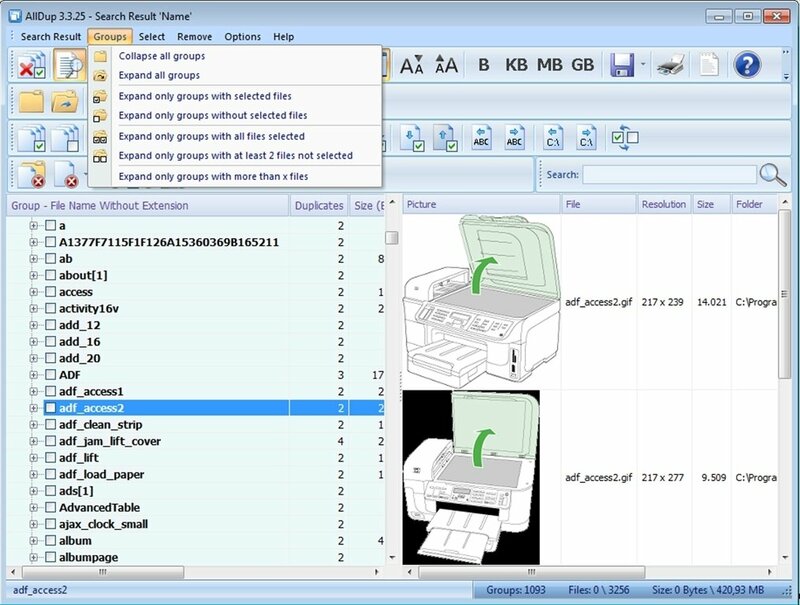 Allows to search files in multiple folders, tools, optical discs or networks storage units. 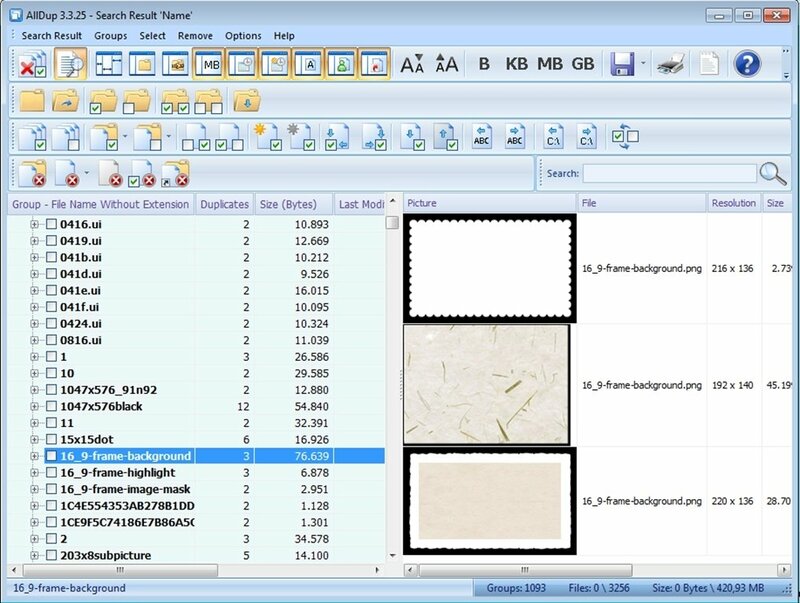 Include search filters to exclude specific kinds of files. 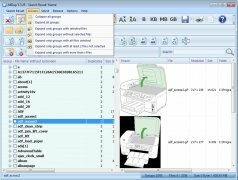 List the duplicate files it find ordered by folders. 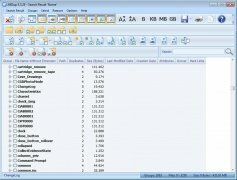 Offers the possibility to permanently delete or to move the unnecessary duplicate files. Ignore the IP3 tags of MP3 files. 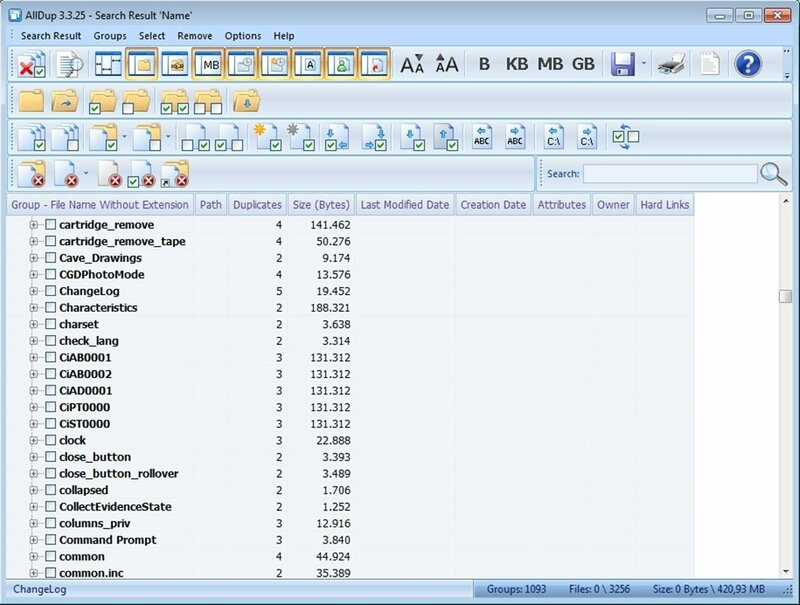 Allows to store and recover the results of a search. When you launch AllDup a starting screen will appear where it will be necessary to configure the search options: the hard drives or folders where the search will take place, the search criteria, the options and the filters that you want to establish. Once you have everything configured, AllDup will start the search. The application will show you all the files that it find organized into folders. You will be able to choose if you want to see more or less data about each file, and you will even be able to view a preview of the files to check that the contents is identical. Last of all, AllDup allows the possibility to delete all the duplicate files that you don't require. Don't think about it any longer and download AllDup free. You will be able to clear your computer of unnecessary files.